Hiring programmers for either a startup or a large corporation has never been more difficult: The Bureau of Labor Statistics indicates that by 2026 the entire IT workforce need will exceed 1.2 million while the previously mentioned 545K software engineers will have left the market by that time. Business development and digital transformation are impossible without new talent, which intensifies the gap between the tech talent supply and demand. Currently, the US software job market faces a 472K tech talent shortage with 9 in 10 business owners struggling to find and hire IT professionals according to research done by Indeed. Hiring software engineers is the second most common issue employers are facing — 23.84% of respondents in the State of Software Development 2018 research admit that they face considerable difficulties while searching for candidates. 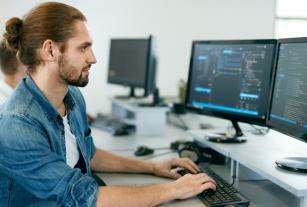 The overwhelming demand for programmers has resulted in the growth of software developer salaries and transformed IT into the best-compensated sector. The median computer programmer salary in the US is more than $100K per year, which in some states is two times more than the average regional pay. Unable to fill tech vacancies, employers shuffle off additional duties to current employees, which leads to burnout and has a negative impact on local business development. Over 30% of respondents surveyed by Indeed admit that this issue accelerates staff turnover. Companies are forced to sacrifice their demands in pursuit of meeting hiring goals: only 29.4% of candidates for software architect positions and 39.6% for DevOps job openings fully meet employers’ requirements. With over 50% of businesses hiring tech employees despite the mismatch between requirements and actual skills, the quality of the product/service provided decreases. You may think it’s all about the location: it’s no news that Silicon Valley explodes with new job openings daily. But no — 4 out of 5 large tech corporations in the US are from outside Silicon Valley, which validates the nationwide talent shortage. What Stands Behind the Talent Shortage in the US? The main issue is education — there are too few school graduates ready to pursue tech careers, as only 13,2% of schools offer AP computer science courses. 77% of jobs in the next decade will require tech skills and educators have already perceived this fact — 88% of teachers believe computer sciences are inevitable for students’ future success. Currently, 2 out of 10 instructors admit their pupils receive no computer science training at all. The main reasons for poor CS education in primary schools include the lack of supporting educational programs and insufficient funding. Both governmental and private funding and initiatives can improve the situation. Microsoft is already committed to this goal — so far 200K teachers have been trained, while access to CS courses across 29 states has increased and female involvement in tech has grown. Employers prefer to onboard senior software engineers, but this desire most frequently leads to overstated requirements to candidates. AI, machine learning, and data science are developing rapidly, however, these technologies are only in the initial stages of development. So it’s next to impossible to find professionals with high enough qualifications in the US software job market. In order to fill the skills gap, employers can expand their search radius — both on a national and international level. You can establish cooperation with software engineers in any part of the world and feel no difference between remote and local cooperation with all of the communication and management tools available today. In addition, it can be helpful to introduce onboard training to ensure that newcomers have no skill deficiencies. Companies provide insufficient upgrade training, which encourages employees to find external sources for professional development. This tendency puts businesses at risk of losing tech talent not only on a company scale but in terms of the general tech workforce — dissatisfied employees often decide to change their growth area. 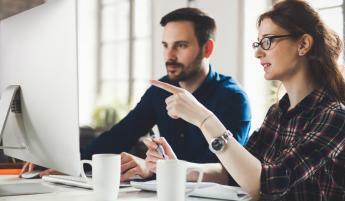 Employers need to keep up with both the general tech development tendencies and their company’s inclinations to provide employees with the most relevant training. Staff should feel they have room for professional growth within your company as well as the opportunity to learn marketable skills. We’ve communicated with a number of C-level executives based in the US and found that all of them face difficulties when searching for software developers. Here are some of their comments on the programming job market and the growing gap between the supply and demand of the IT workforce in the US. The programming job market in Ukraine continues to expand rapidly — the outsourcing market in Ukraine has increased by 20% throughout 2017 and is expected to reach $8 billion by 2025. Apart from active growth, Ukraine maintains a vivid tech community, which is concentrated in the major tech hubs: Kyiv, Kharkiv, Dnipro, and Lviv. Tech talent accessibility, comfortable location, and a favorable business environment lure foreign company owners to start their development teams in Ukraine. Offshore cooperation requires thorough planning and prior research, the best way to ensure a smooth extension of your local team is to establish cooperation with a reliable tech partner, like Daxx. To find out more about cooperation with Daxx, fill out the form below and we’ll get back to you shortly. Hiring Developers Overseas: How Does the Ukrainian Mentality and Work Ethic Compare to Western Europe, the USA, and Asia? Average Software Engineer Salary in the World 2019. Which Is the Highest-Paying Country?